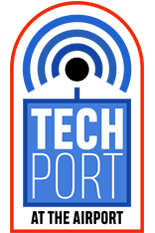 The University of Maryland (UMD), in conjunction with the Commissioners of St. Mary’s County, is pleased to announce the appointment of Brad Bartilson as director of TechPort, a business technology incubator located at the St. Mary’s County Regional Airport. TechPort, which is operated under contract by the University of Maryland, will target startup and early stage companies that specialize in unmanned and autonomous systems and commercialization of Navy technology. TechPort’s mission is to help diversify the local business environment in St. Mary’s County. The incubator will offer affordable office space, management training, mentoring, marketing support and access to funding opportunities. Bartilson will be responsible for the overall strategy, management, and operation of the incubator. He will report to Ms. Julie Lenzer, UMD associate vice president of innovation and economic development. The St. Mary’s County Department of Economic Development selected UMD to operate the incubator for a three-year period. TechPort is funded by the Maryland Technology Development Corporation (TEDCO) and the Naval Air Warfare Center Aircraft Division (NAWC-AD) Technology Transfer Office. “I am excited to have Brad as the director of the County’s first business incubator. His broad experience will enable him to fulfill the incubator’s mission to round out the innovation ecosystem in St. Mary’s County and create new businesses that will fuel our economy,” said Chris Kaselemis, St. Mary’s County’s Economic Development Director. “The incubator has generated great excitement here in St. Mary’s County due the important role it will play in helping to grow and diversify the economy,” said County Commissioner President Randy Guy. “The addition of Brad to the collaborative mix between the University of Maryland, the County, NAWC-AD and TEDCO will lead to a stronger economy,” said Michael Schroeder, Director of the NAWC-AD Technology Transfer Office. Prior to TechPort, Bartilson held roles at major corporations, including Raytheon, Lockheed Martin, and Cray Research, where he won the Cray Research Innovation Award. “I'm honored and excited to step in and advance the tremendous opportunity in TechPort. I look forward to assisting excitingstartups into the TechPort, and celebrating each point of success along our way,” said Bartilson. Bartilson has led multiple startup businesses in the biotech industry and has a long record in leading teams in cutting-edge technology ventures. He earned a Master’s of Science in Mechanical Engineering from the University of Minnesota. He holds 19 patents, including 11 in advanced electronics.